I’ve always been told that I resemble my mother. From the tone I use to answer the phone to the organizational style of my agenda, there’s no doubt that I am my mother’s daughter. We use animated gestures whenever we talk, we eat spoonfuls of peanut butter out of the jar, we dance around the house singing along to Michael Bublé, we use the same words at the same time to describe the most random things, we laugh until tears prick the corners of our eyes, and, most importantly, we tell each other everything. But who knew, by the start of my freshman year, we would turn out to be sisters, too? I’ll be the first to admit that I wasn’t sure if I wanted to go through recruitment. The summer before college, I was sitting at the kitchen table one night with my laptop in front of me, staring dejectedly at the blank recruitment application with the deadline looming over my head. My mom was tinkering around in the kitchen, silent but attentive, waiting to see what I would do. After scrolling through, I spotted the question asking me why I wanted to join a sorority. I looked up at the ceiling to reflect and then found myself directing the question to my mom, curious for her answer. 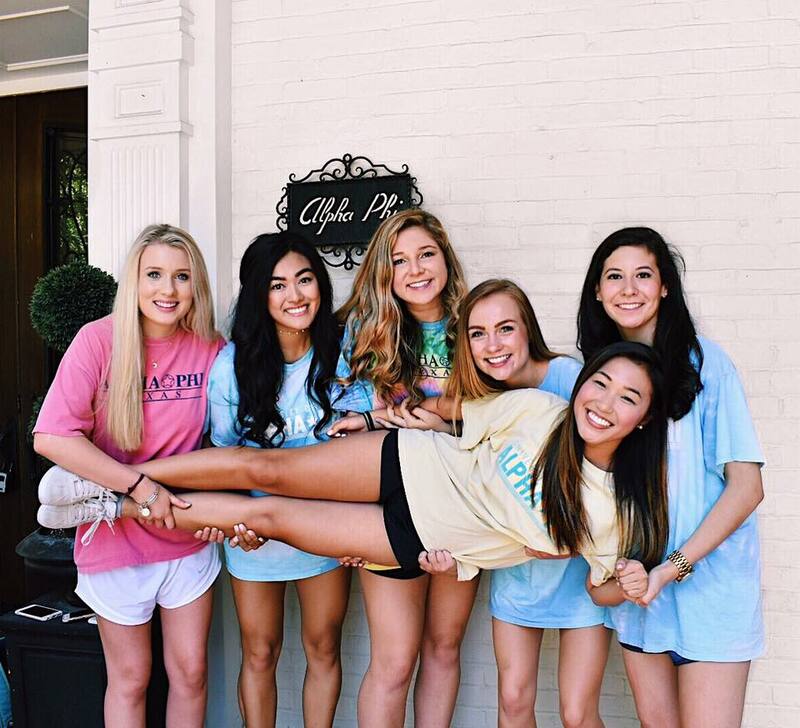 She paused for a moment, and with a warm smile, shared that she met her best friends through Alpha Phi. My mother’s maid of honor and my godmother are both Alpha Phis, and she has kept up with them all these years. 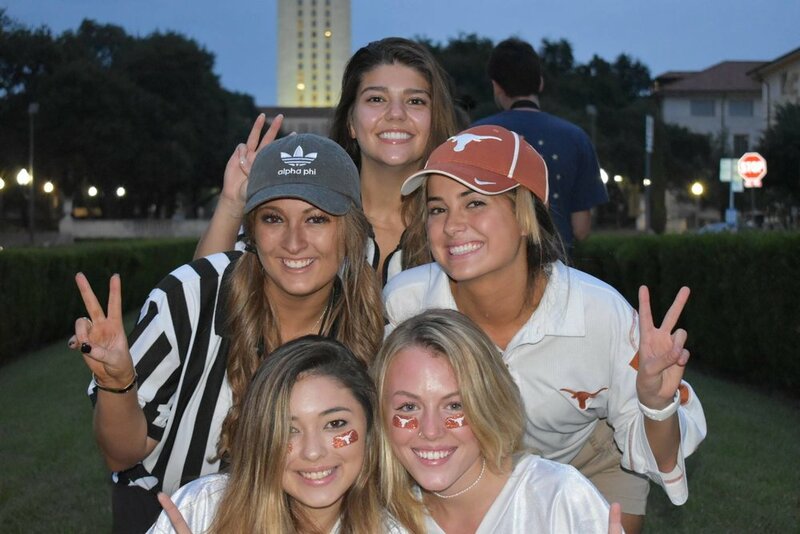 She went on to say that Alpha Phi was an instrumental force in making her feel comfortable and welcomed at UT throughout her college career, especially when the workload was overwhelming and the process of adjusting to college was daunting. 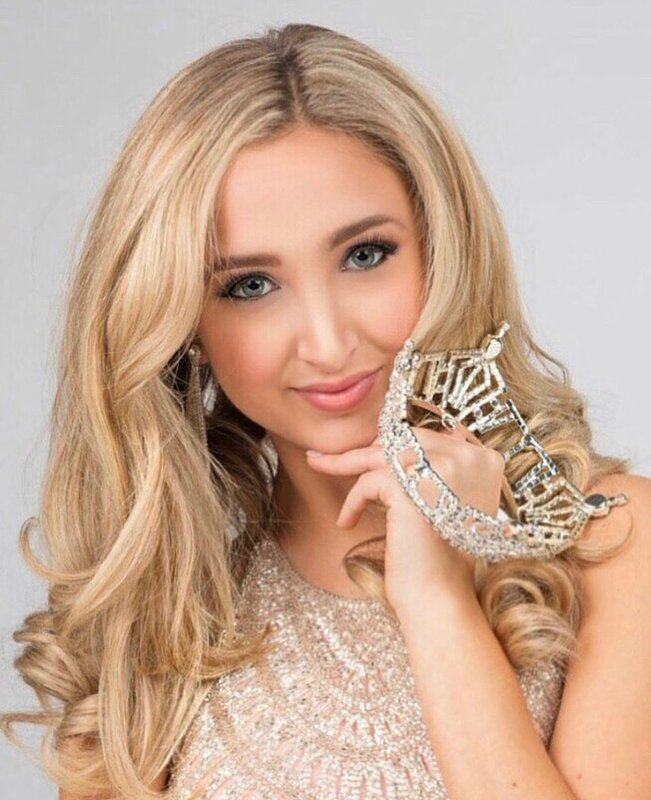 The connections and memories she made through Alpha Phi ultimately made all the difference in her college experience and beyond and she felt she couldn’t be more grateful to Alpha Phi after everything the organization gave her. Moved by her words, I finished the application that night and submitted it, excited by the prospect of what was to come. At the start of recruitment, I was nothing short of dazed and confused. The first wave of the chanting, the conversations, the clothes, and the cuts came in an absolute blur. I was paranoid, insecure, awkward, and sweaty for the duration of Open House—writing everything down so I wouldn’t forget the houses and praying the houses wouldn’t forget about me. The calm amid the chaos came when I arrived at Alpha Phi’s doorstep. There, I met wonderful girls who shared my interests and made me feel welcome. Toward the end of the visit, my cousin Allie tapped me on the shoulder to give me a quick wave and it brought a huge smile to my face to know that she was there, looking out for me. It wasn’t until the next round that I felt completely more at ease with the process, because by then, I just had six houses left. While I enjoyed my time in the other houses, for the second day of Philanthropy, I only had Alpha Phi and I was elated. For the craft, each prospective new member took a paper heart and wrote down the name of someone she looked up to. Without hesitation, I wrote down my mom’s name and proceeded to have a wonderful conversation with Alpha Phi actives about having close relationships with our moms. On Preference Night, as emotions were running high, Allie led the ceremony where we all put on our ivy crowns. She looked out over the rows of girls as she spoke and near the end of her speech, she made eye contact with me, smiled, and said, “You belong here”. And that’s when I knew I was home. A (happy) tearful phone call with my mother followed thereafter in my dorm room as I relayed what happened and we were both desperately hoping that I would see Alpha Phi on my Bid Day card the next morning. And sure enough, once I opened the envelope and saw the Alpha Phi crest peeking through the top, I couldn’t contain my joy. I raced home full of adrenaline with my new sisters, not knowing that several of my new sisters were already there waiting to surprise me. My mom wrapped me up in her arms, crying and laughing, while my godmother, her daughter, Amanda (also an Alpha Phi), and Allie came over for more hugs and photographs. Flash forward to sophomore year, and here I am, proudly serving as the Director of Alumnae Relations and writing this post in Room 5, where I currently live and my mother used to live during her time in the house. I owe more to Alpha Phi than I will ever be able to return, because it’s given me the ability to find new ways to grow closer to my family. From attending Bid Day and Initiation to giving me suggestions for engagement events to coordinate for alumni, my mother, my godmother, Amanda, and Allie have been there through it all and shared in some of my favorite college experiences in an incredibly special and meaningful way. They are also direct links to Alpha Phi’s past, so I know there’s much for me to learn about Alpha Phi that I haven’t already discovered and I’m sure there’s a wealth of stories about their experiences that have yet to be shared with me. And I’m lucky enough to say that this is another thing my mom and I have in common. Thanks, Mom. I love you most. When I first came to campus last fall, I was so worried about fitting in and making friends. College was a whole new playing ground, and it was one that I wasn’t sure that I was going to survive in. I felt sort of lost and scared, and a part of me felt like I was missing something. After becoming a member of the Omega chapter of Alpha Phi at The University of Texas, I realized what I had been missing all along… A group of girls that I could call not only my friends, but also my sisters. I found exactly where I was meant to be. And, well, that was home. Many people don’t usually say this, but Mondays are definitely my favorite days. Why you ask? Well, the answer is easy. It’s because The Bachelor, a new, fresh start to the week, and chapter meetings… which means great food and time spent with even better girls. I remember my first chapter meeting and how nervous I was making the walk from my dorm to the house. Worrisome thoughts began to creep into my mind as I got closer and closer to the house. 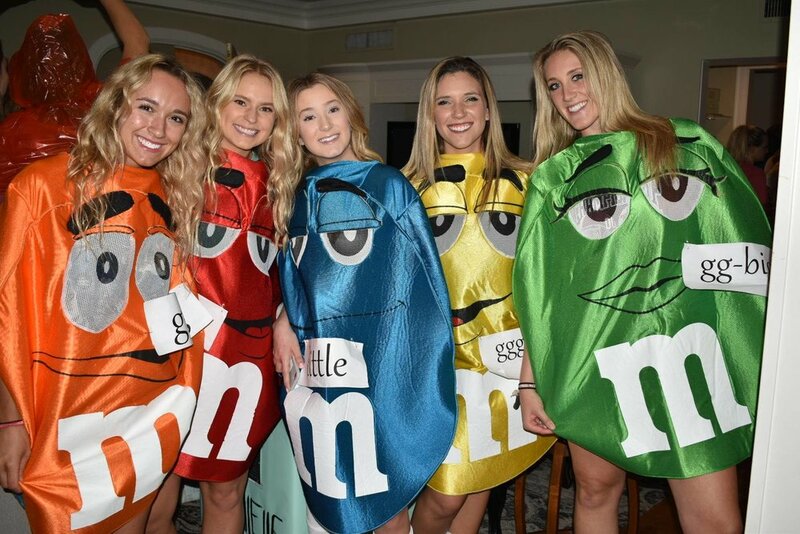 I had known a couple girls in Alpha Phi, but there were definitely more girls than just the few that I was friends with. But, once I walked in, all those thoughts disappeared, and I felt at ease. Greek life often gets a bad rep for things that are portrayed in movies or preconceived notions that other people have. But, I can honestly say that it’s far from the truth. The first moment that I had walked through the double doors of the Alpha Phi house, I knew that it felt right. There were girls walking around laughing with each other or sitting on the couches hard at work, with their faces burrowed into their textbook. All around me, I saw so many girls that were so well-rounded and wholesome, but all in different ways. I’ve learned that you don’t have to be perfect, and you don’t have to have everything in your life figured out. And, through Alpha Phi, I have met so many girls that I can grow together with. The girls are so humble, yet confident, in exactly who they are. They each inspire me in more ways than one. 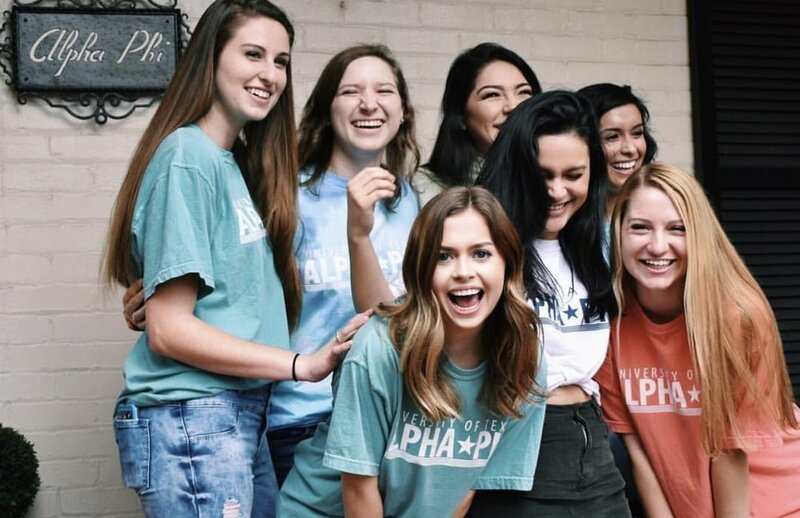 Thank you Texas Alpha Phi for showing me sisterhood—Alpha Phi has given me friends to have sleepovers with in our cramped freshman year dorm room. Because, honestly, no matter if we were to be in a box or in the biggest bed in the world, we will always have a good time. The friendships that I have made truly are genuine and real. These girls are, hands down, the best friends that I could ever ask for. Thank you Texas Alpha Phi for making me into the best version of myself—Being an Alpha Phi at Texas gives me so many amazing girls to look up to. Girls with all different majors, girls from other states, girls with different views, and the list could go on. But, no matter where I am, or who I am with, I know that I can always find myself growing, and learning, from all the unique girls that surround me. Thank you Texas Alpha Phi for giving me a huge support system— I know that whatever I do, I will have girls being my biggest supporters and standing beside me along whatever journey I find myself on. It could be three a.m. or two in the afternoon, and I would still be able to call my friends and vent as I find myself a little lost. Alpha Phi has become my sweet home away from home and has given me girls that will not just be in my life for four years, but instead they will be with me for life. So, thank you Texas Alpha Phi, for giving a simple girl like me the opportunity to wear our letters with such pride and joy. I made the best decision ever, and I joined the Ivy League. As ironic as it may sound, I met my family Freshman year. My whole life people had told me that college was the time to say goodbye to family and feel the homesickness set in, hopefully meet some new friends and yada yada yada… In my opinion, those people had never experienced Big/Little reveal because I am sure that if they had shared a similar experience to my own, they would have to understand that meeting “new friends” does not even come close to the overwhelming love and friendship that my Alpha Phi family brought to me. I had originally thought that the day I received my bid from Alpha Phi would be the happiest moment of my life as a member. In my then small-minded perspective, that was it. It had set the bar. That is until the big/little reveal, when my entire outlook of what I considered my “happiest moment” was forever changed. On the actual day, after days of much awaited anticipation, I arrived at the Alpha Phi house where I anxiously awaited with my sisters. We got the OK and sprinted to the decorated boxes in front of the house where my big sprung out like a Jack-in-the-box. Needless to say, this surprise easily exceeded a little clown in a tin box. Not only did I feel my excitement, but I could see the excitement of all of my sisters around me as they found and expanded their own families. I smiled harder than I think I ever had in my entire life, and not just because we snapped about 1000 pictures together. Today, almost 2 years later, my big still means everything to me, and she was everything I expected and more. Having my best friend as my twin made it even better. Suddenly, I had a family to laugh, cry, and laugh some more with, to group text “movie night tonight? ?” and “who wants Chik-fil-a?” all-the-while wondering how I ever didn’t know them. As more and more memories were made, I soon came to realize that there would never truly be one “happiest moment”. My entire existence as an Alpha Phi would be an ongoing collection of the happiest moments, the majority made possible because of my amazing family and the memories we shared together. I think that it’s pretty safe that say that we all enter college extremely nervous. We wonder who we will meet, the memories that we will make, and the people that we will experience those memories with. As we go through the motions of our daily lives on the Forty Acres, it can be really easy to get caught up in it all. Then, before we know it, a whole year has flown by… or maybe even three or four. But, luckily, we have our sisters to by our side that make each moment so memorable. Here are seven things that I have learned from my sisters. Shh, this one’s a secret! 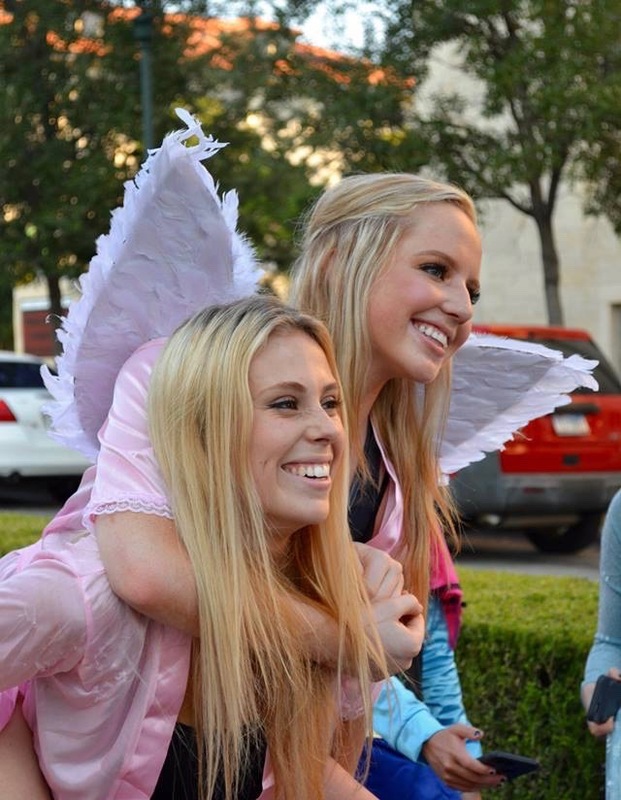 Rush Texas Alpha Phi and find out who this sweet sista is!